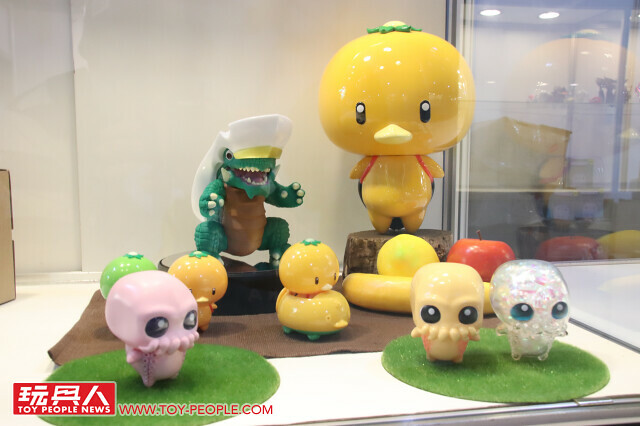 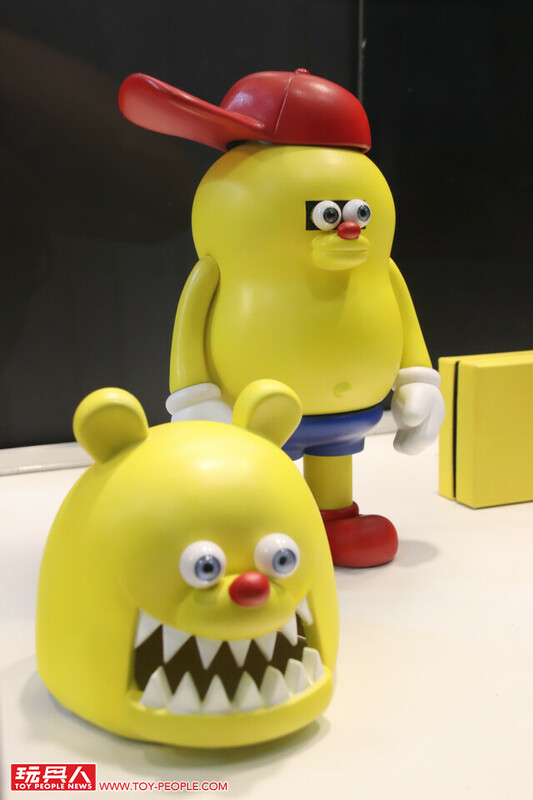 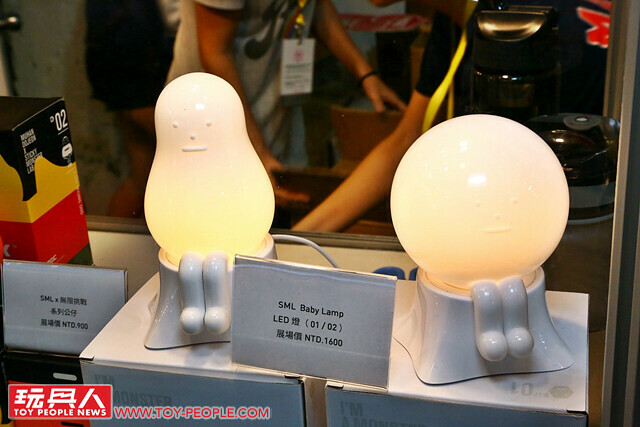 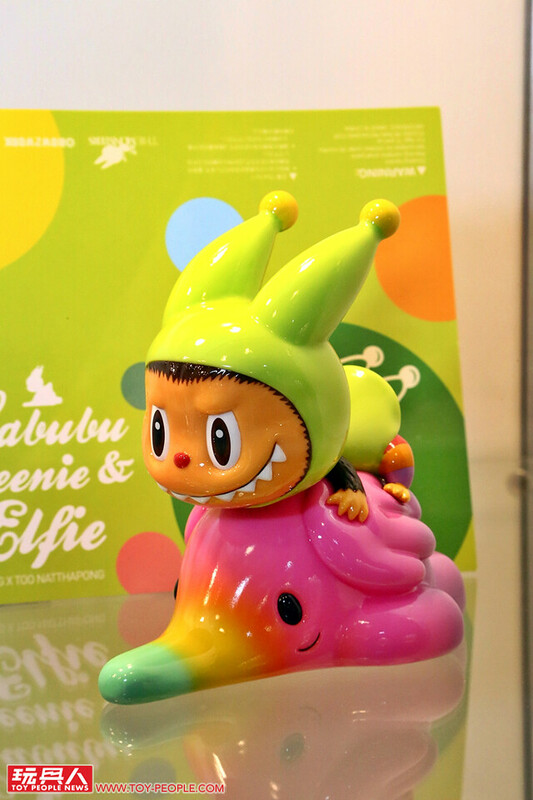 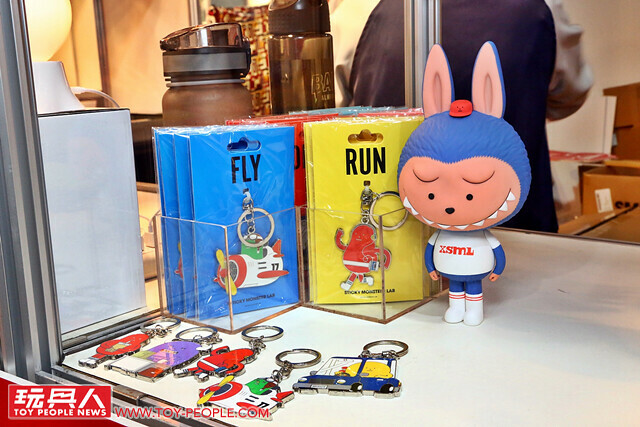 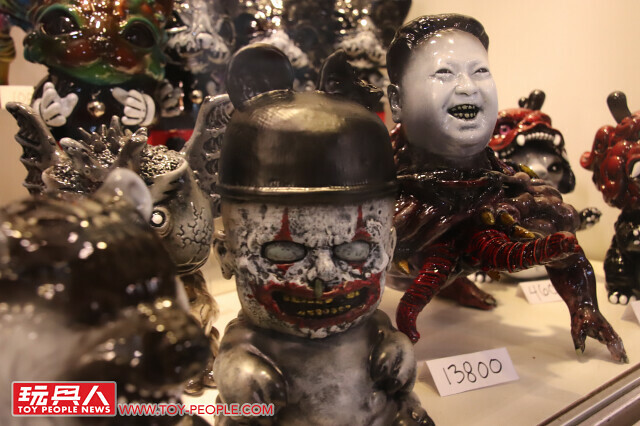 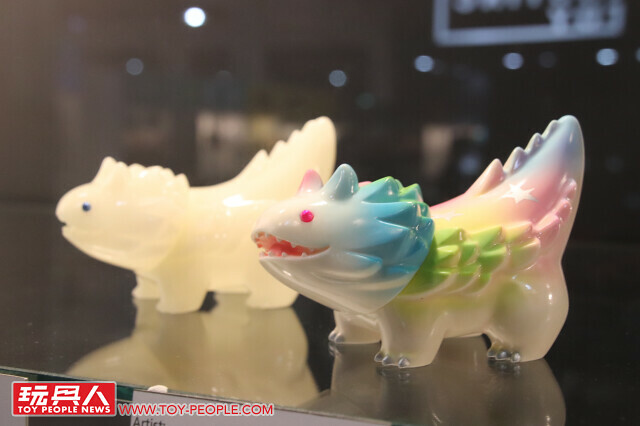 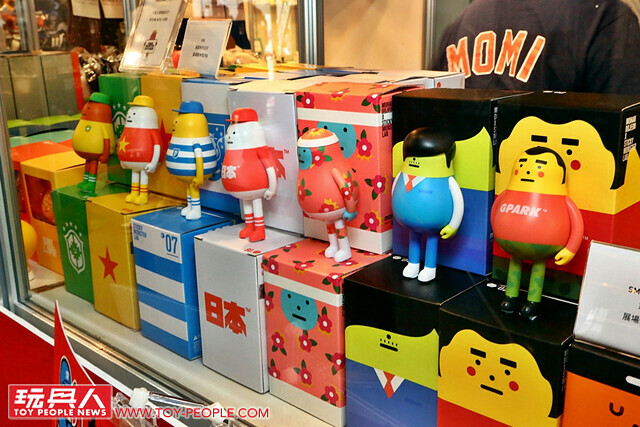 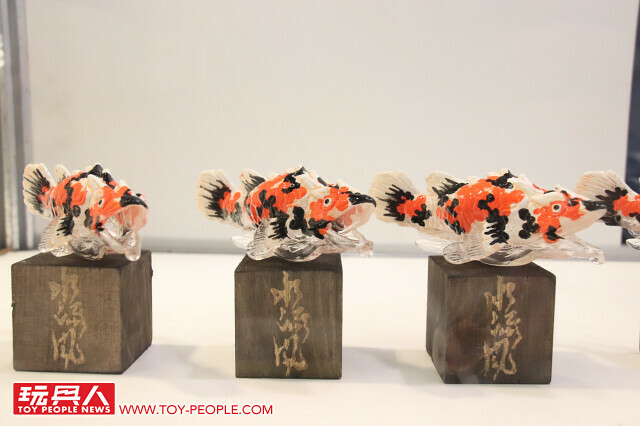 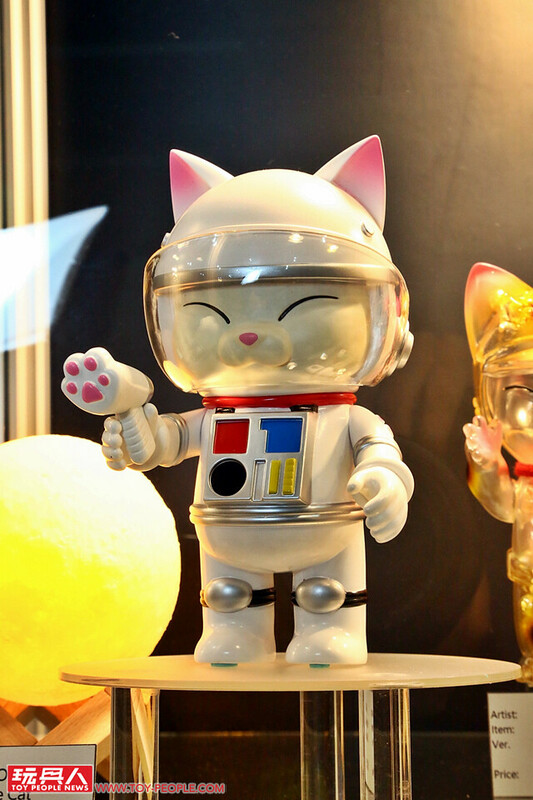 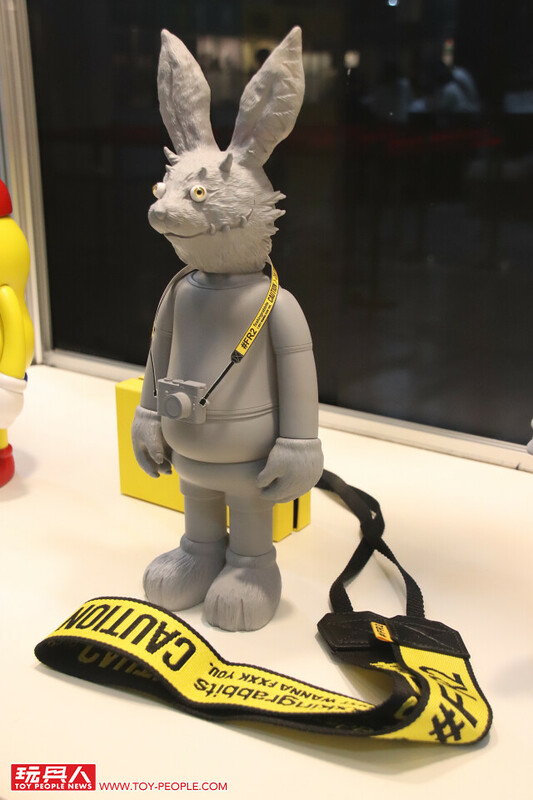 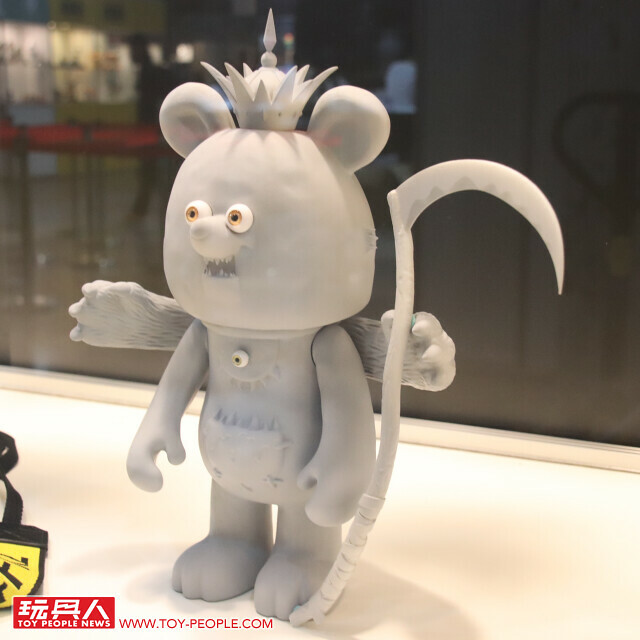 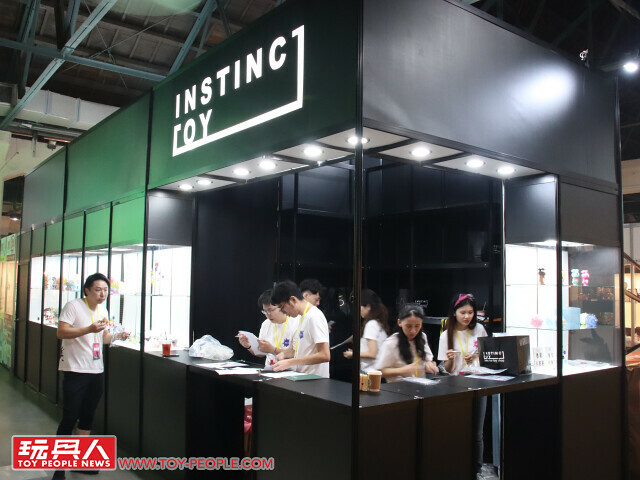 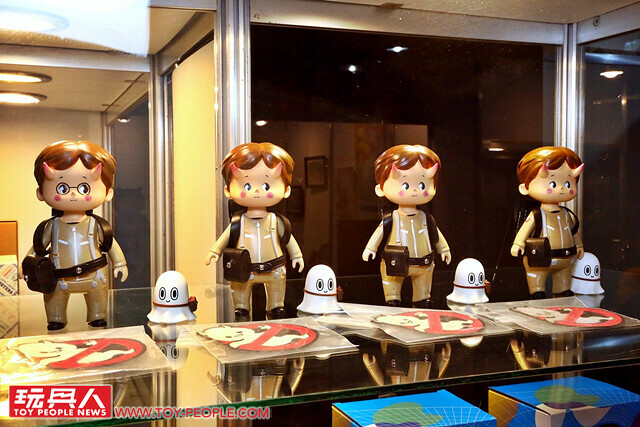 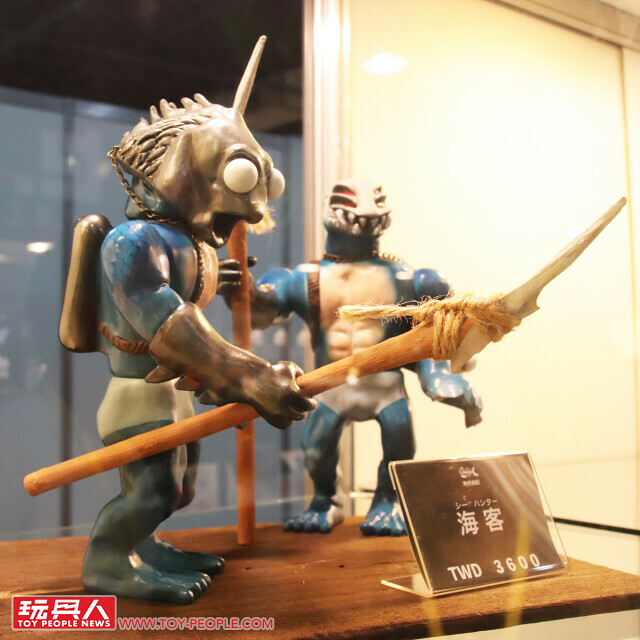 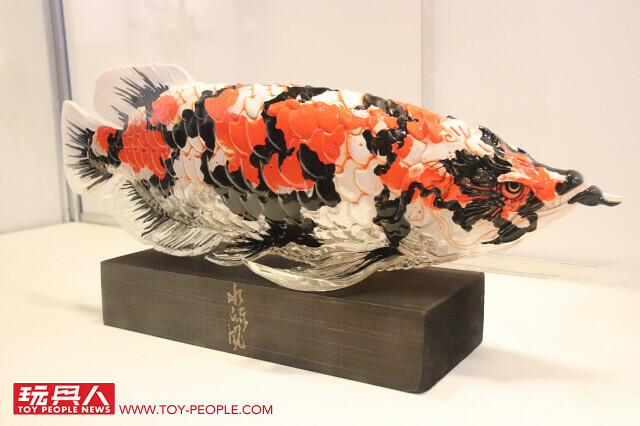 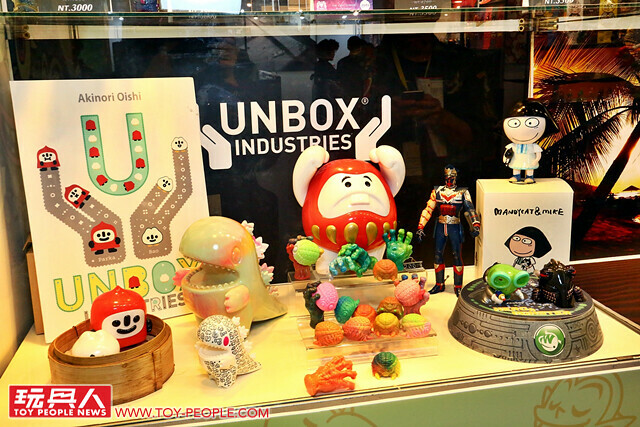 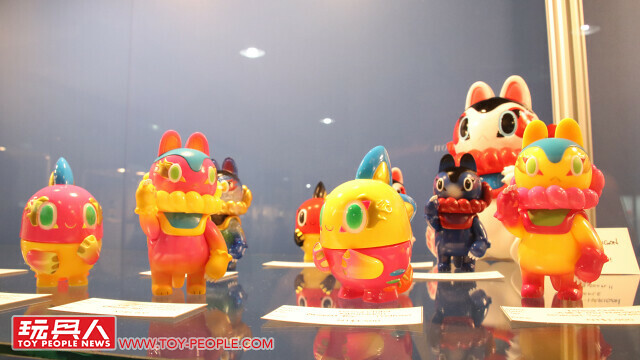 Taiwan yearly designer toy exhibit, Taipei Toy Festival 2018 started today! 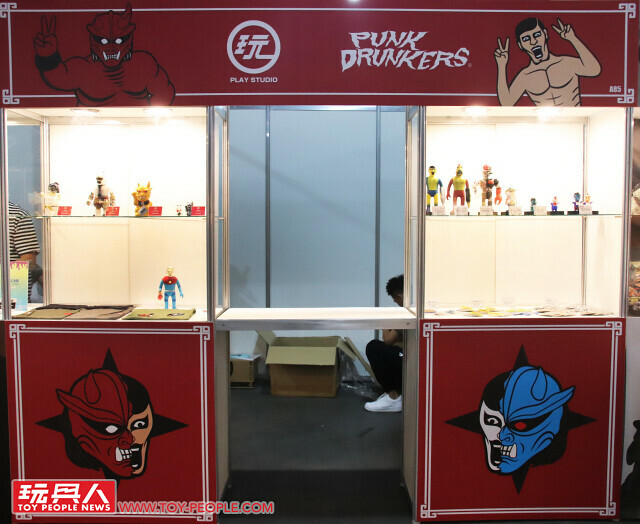 This year happened to be TTF 15th anniversary and is best than ever! 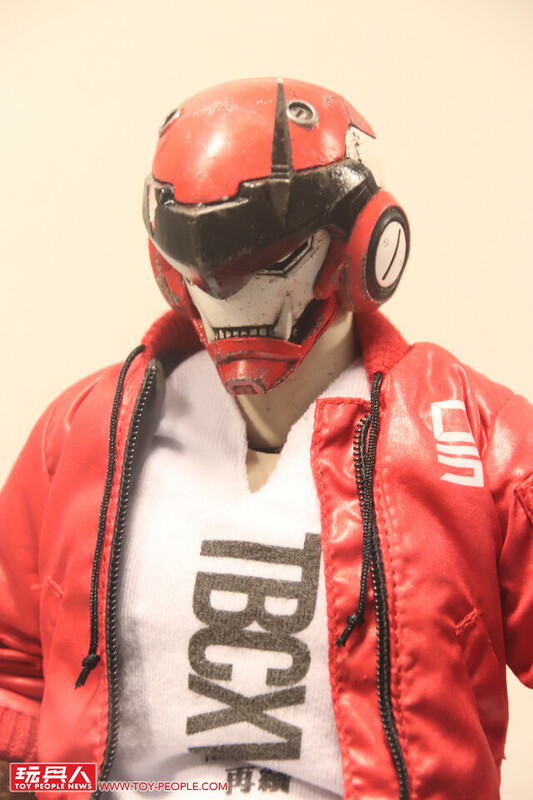 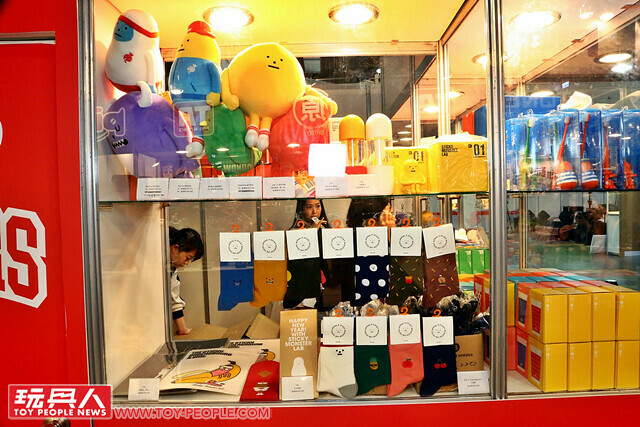 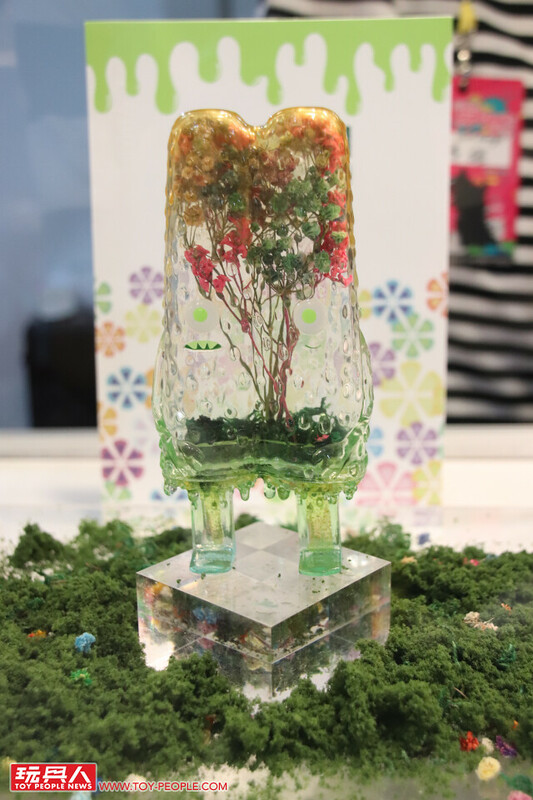 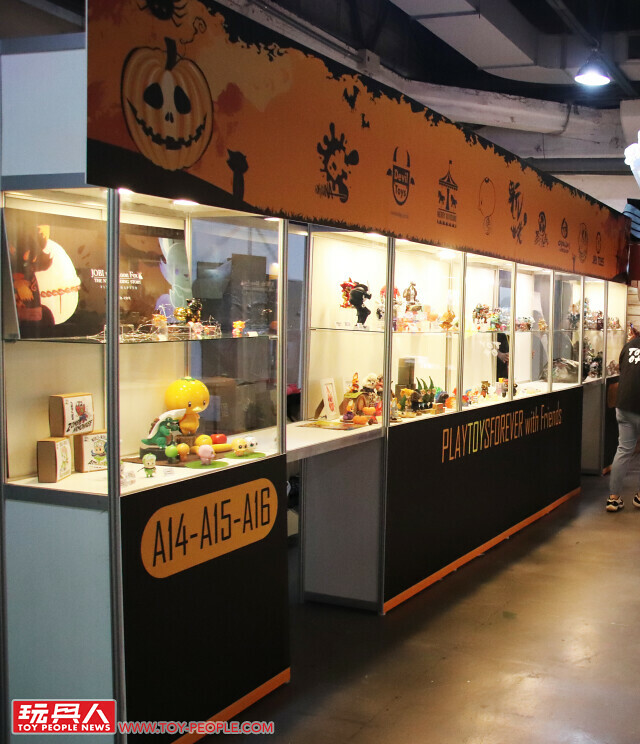 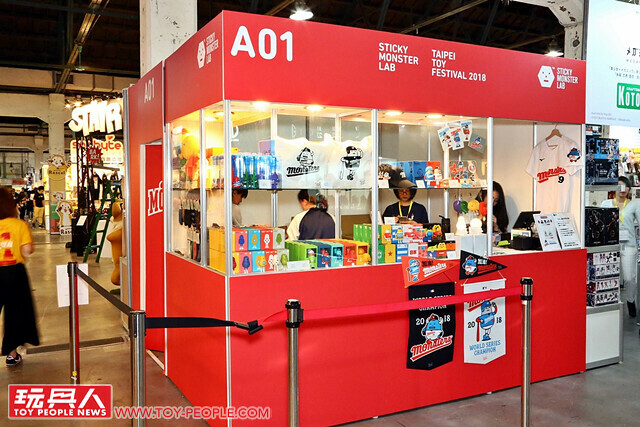 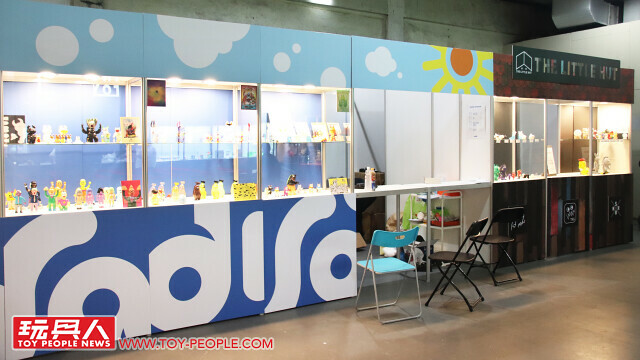 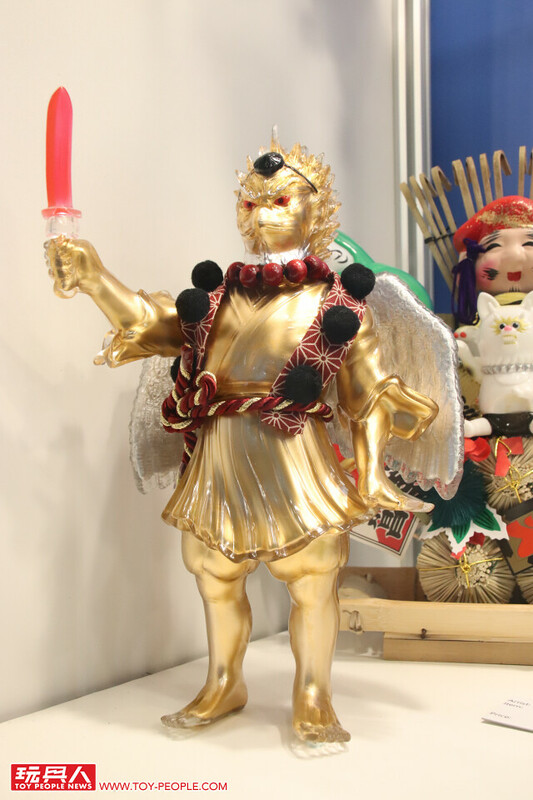 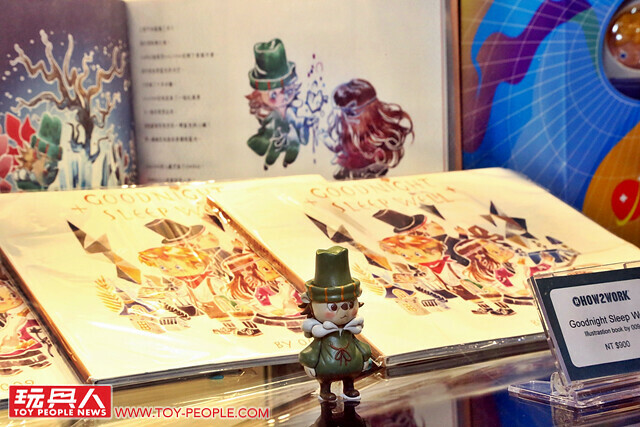 The exhibit has expanded to hall A and B (has a second floor) with many spectacular fun contents~ Fans of designer toys remember to visit this year's display! 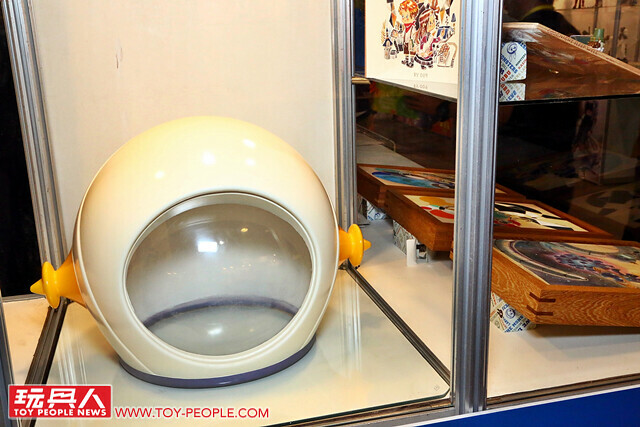 Our toy expedition team went in took photos in the morning, no wonder it's been 15 years! 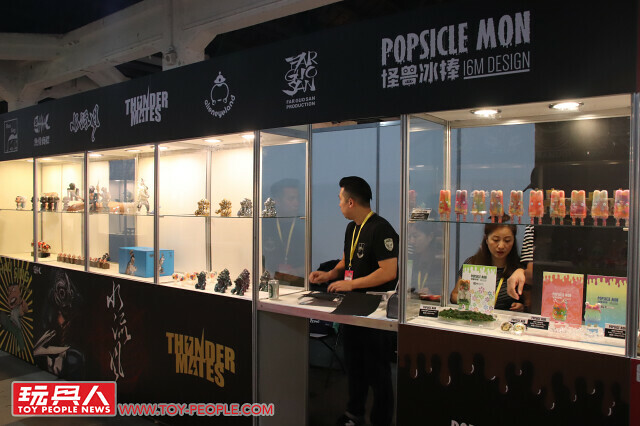 Designers all release awsome pieces with a lot of effort behind it, and the co-brands between designers are also magnificent, let's check it out! 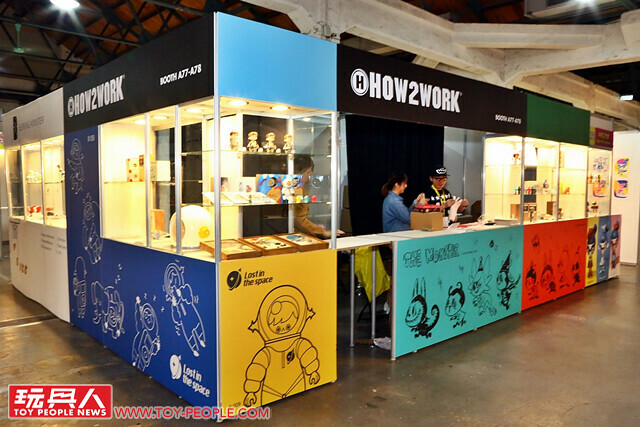 First off is the most visit HOW2WORK booth! 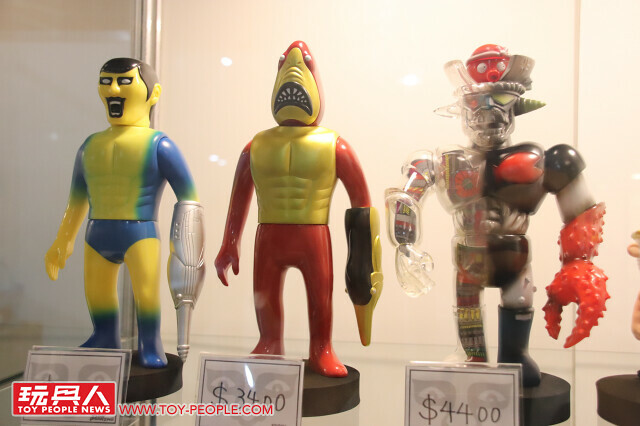 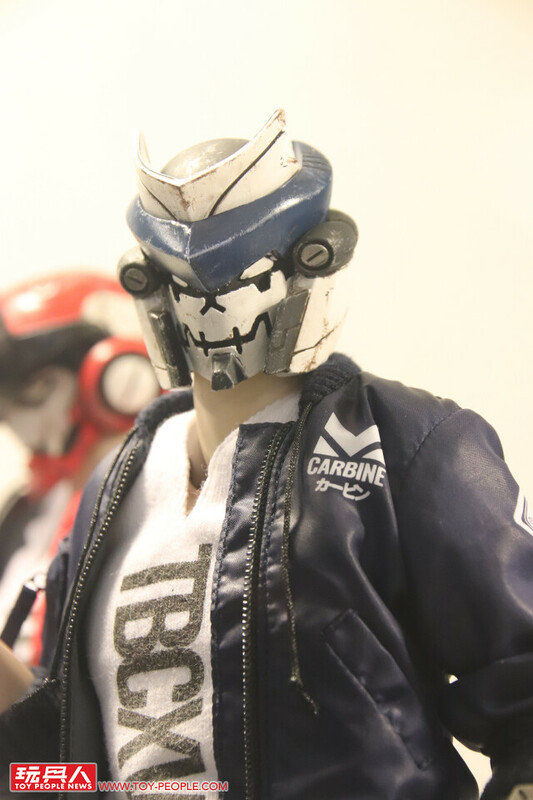 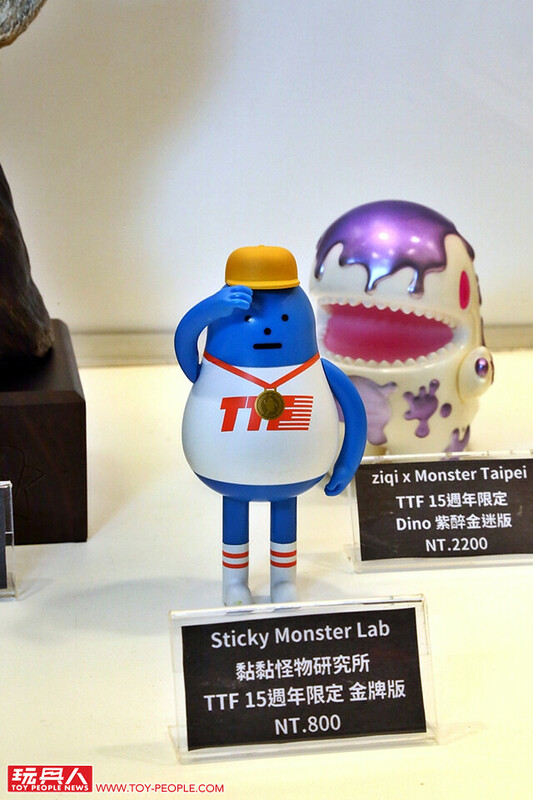 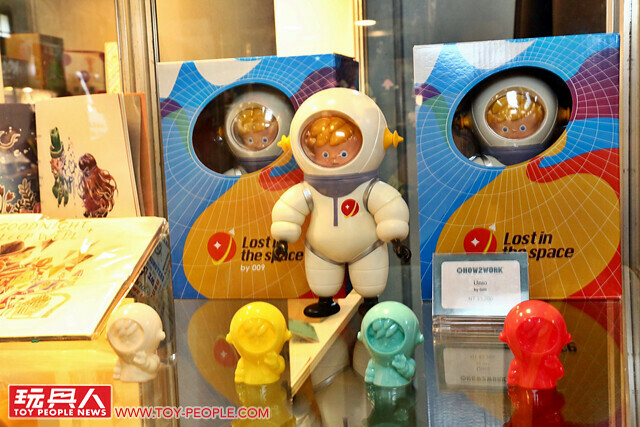 Kasing Lung besides the "XSML" co-brand between Sticky Monster Lab, also has the beautiful, atrovirens colored Astronaut First Man and exclusive LABUBU. 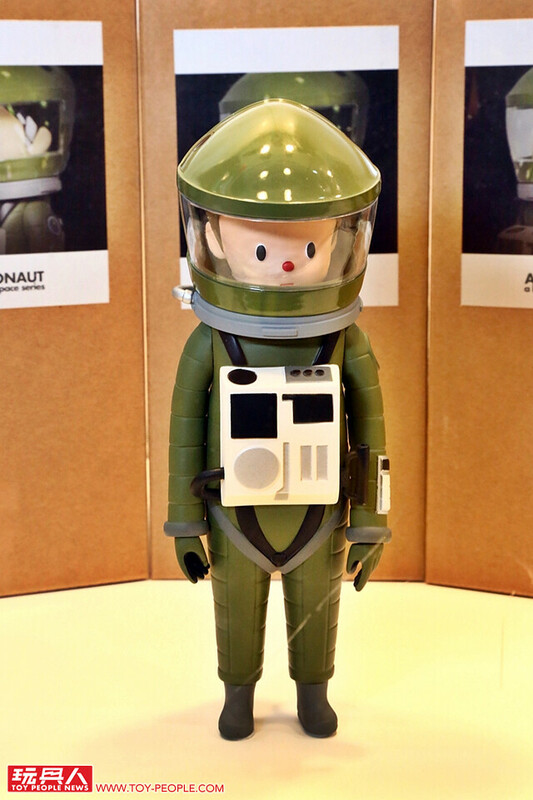 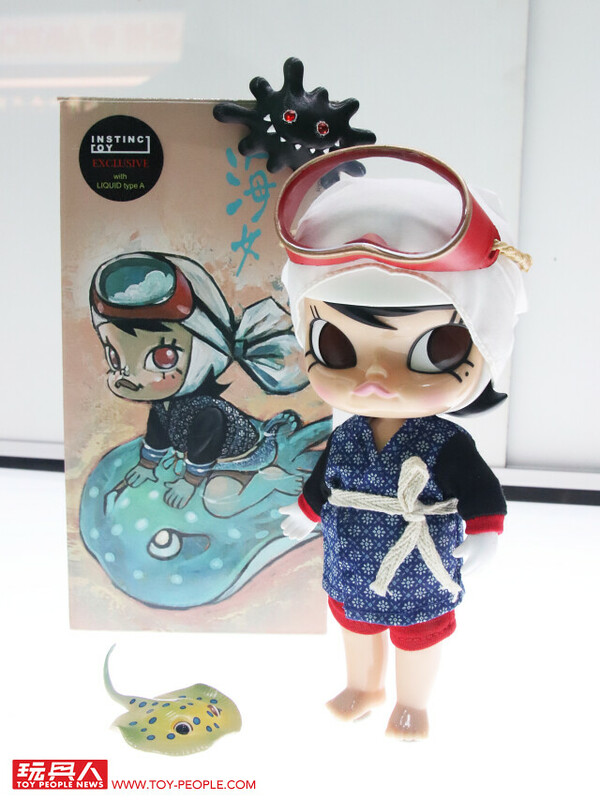 009 brought his personally painted Torres and cute astronaut UNIO, and his third picture book Goodnight Sleep Well! 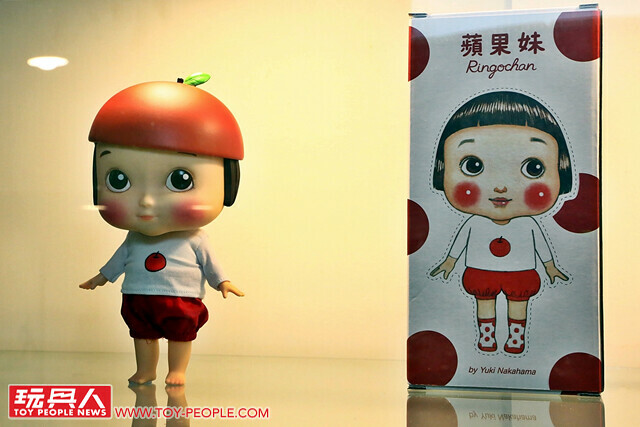 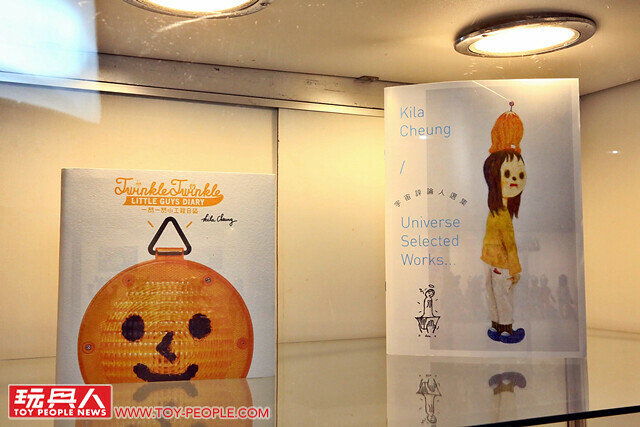 Additionally, Kila Cheung's Universe Selected Works and Yuki Nakahama's apple girl Ringochan are also here! 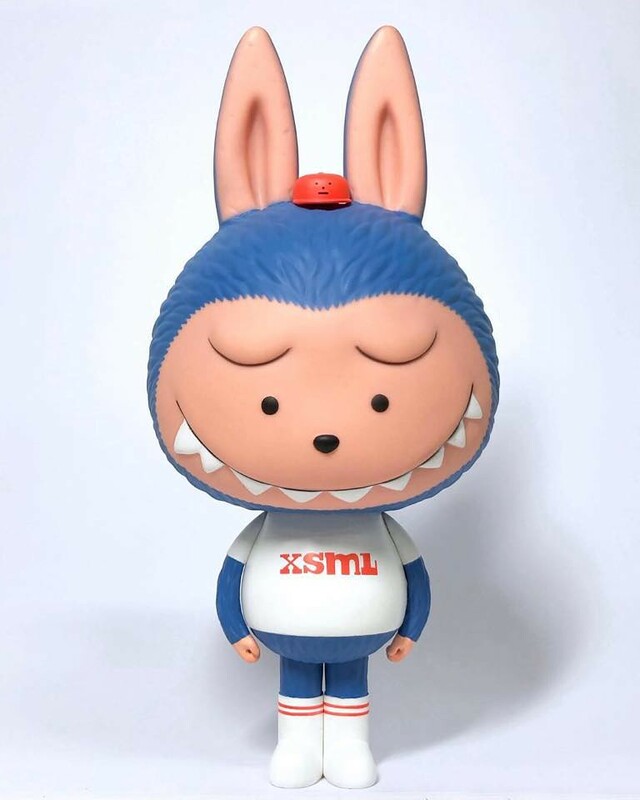 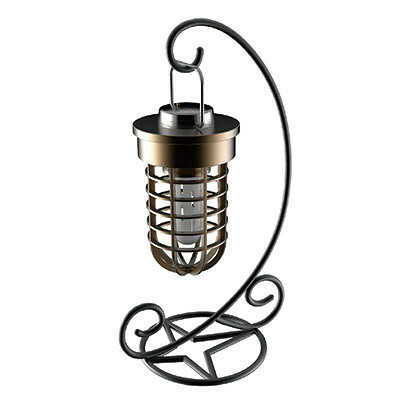 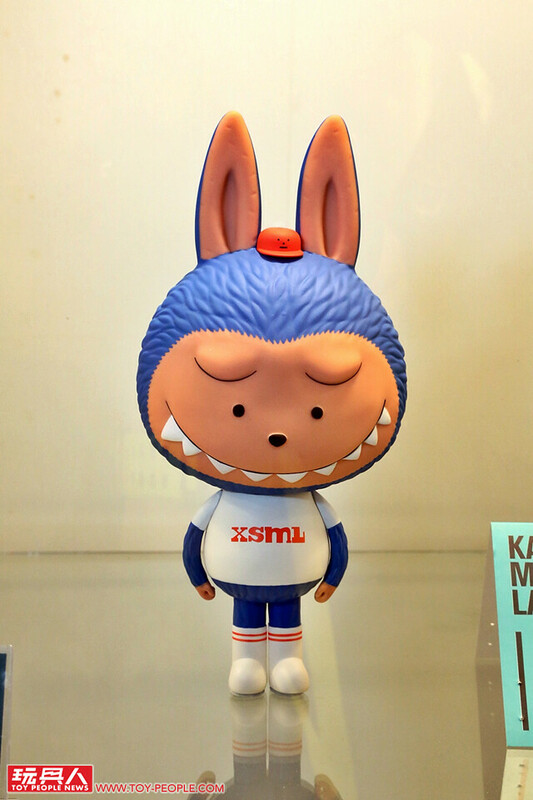 Co-brand XSML are also sold here! 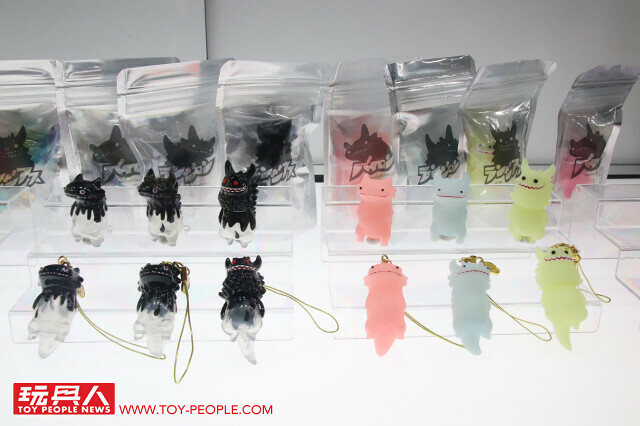 Beside that, there are many cute mini sticky monster charms! 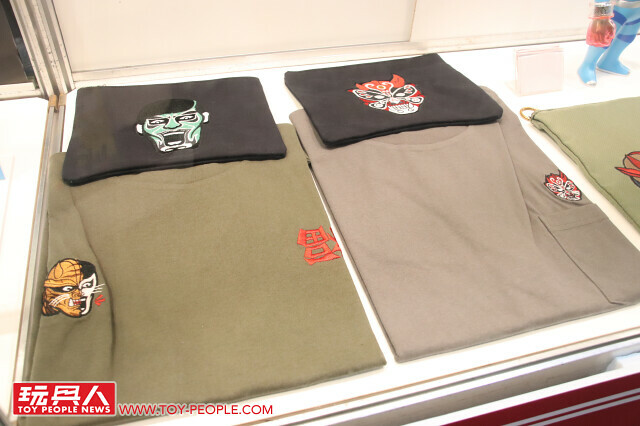 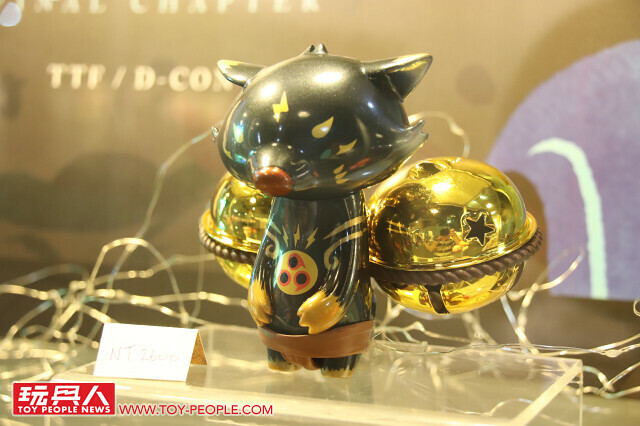 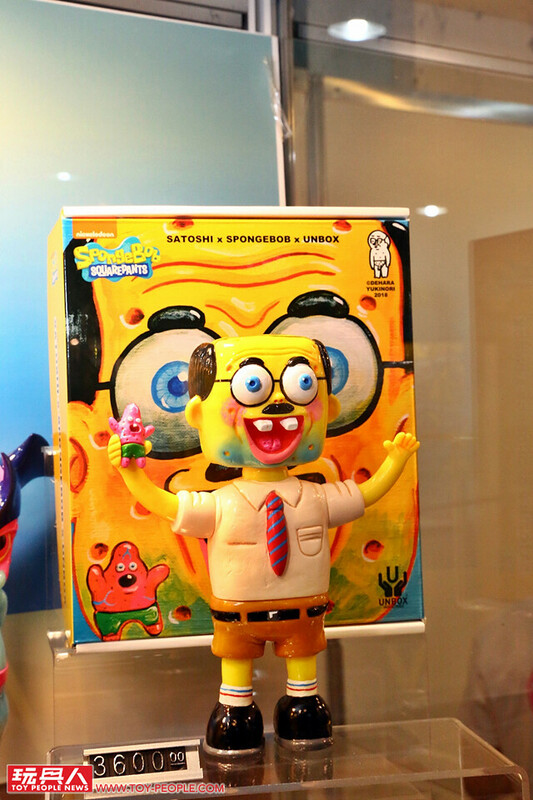 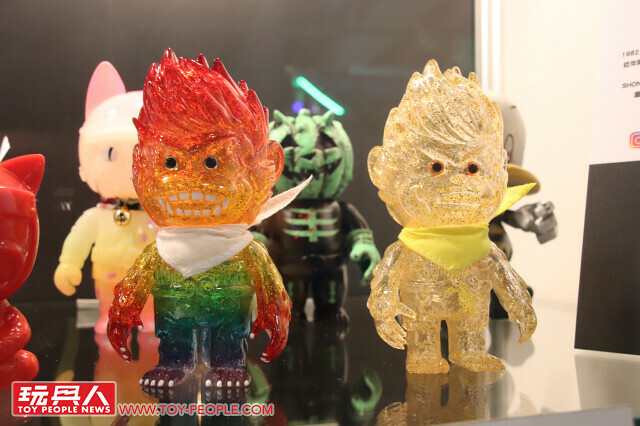 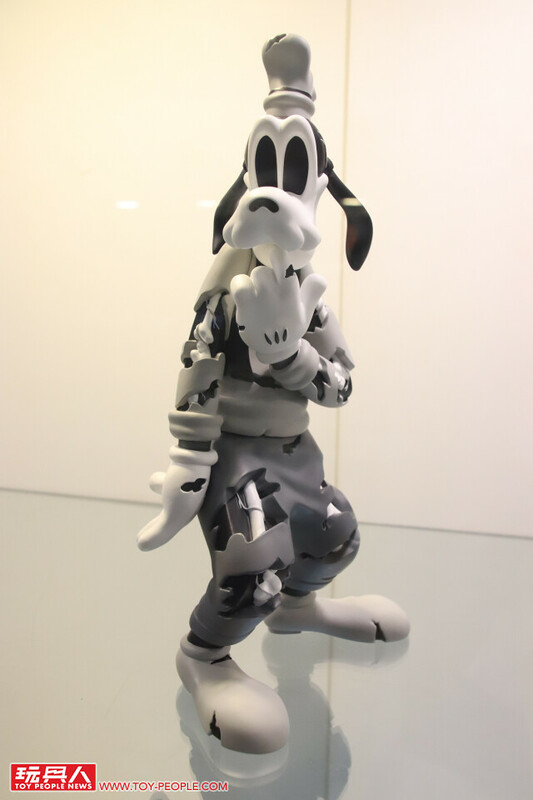 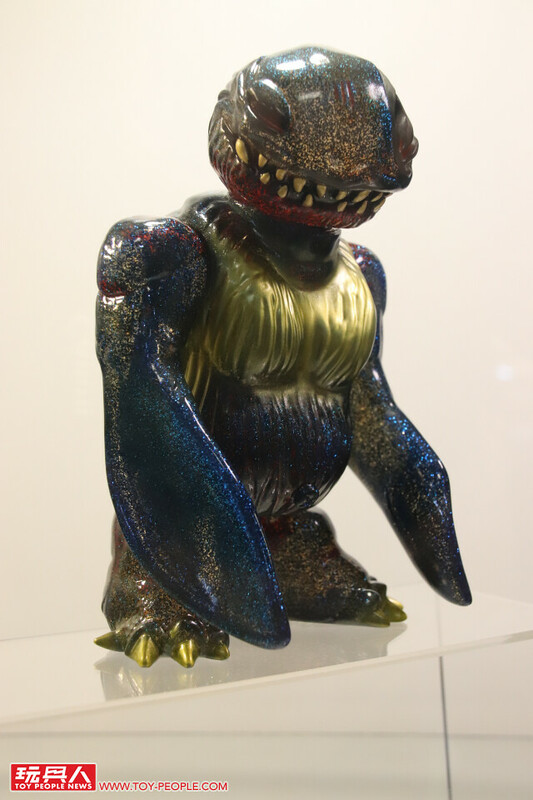 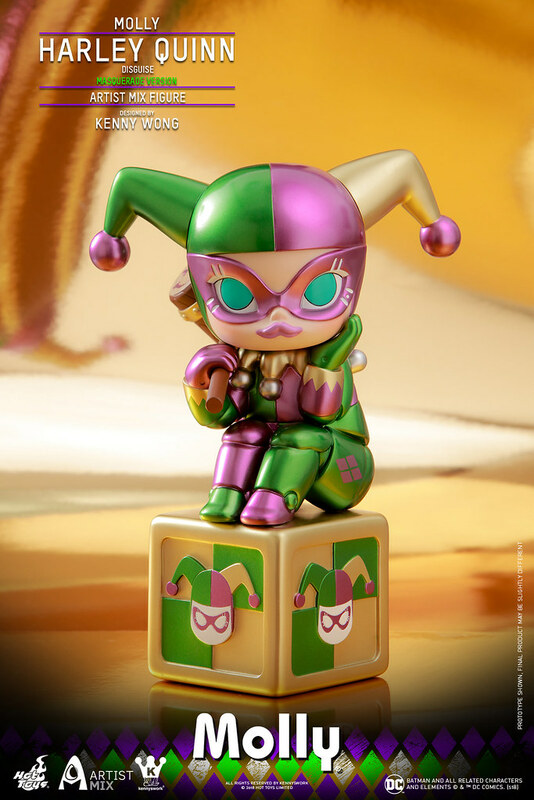 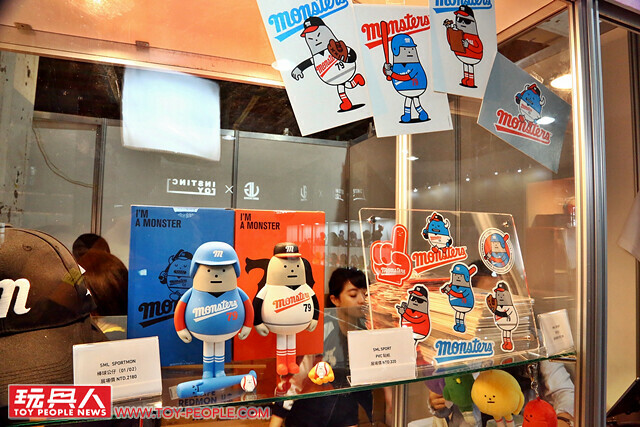 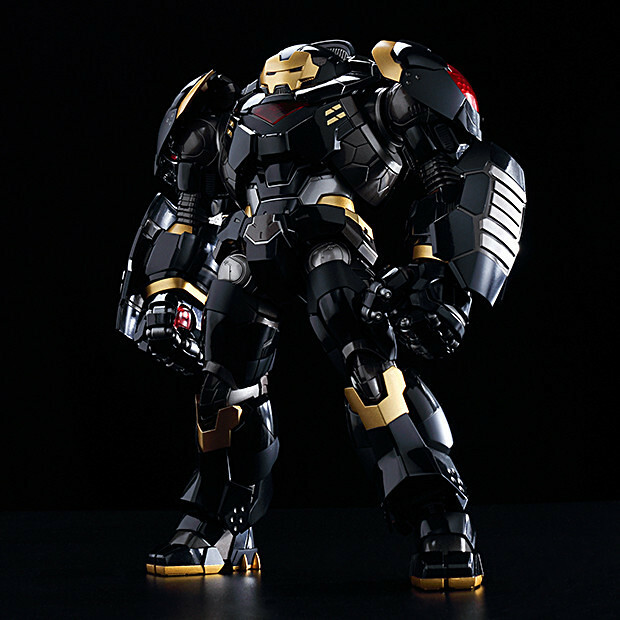 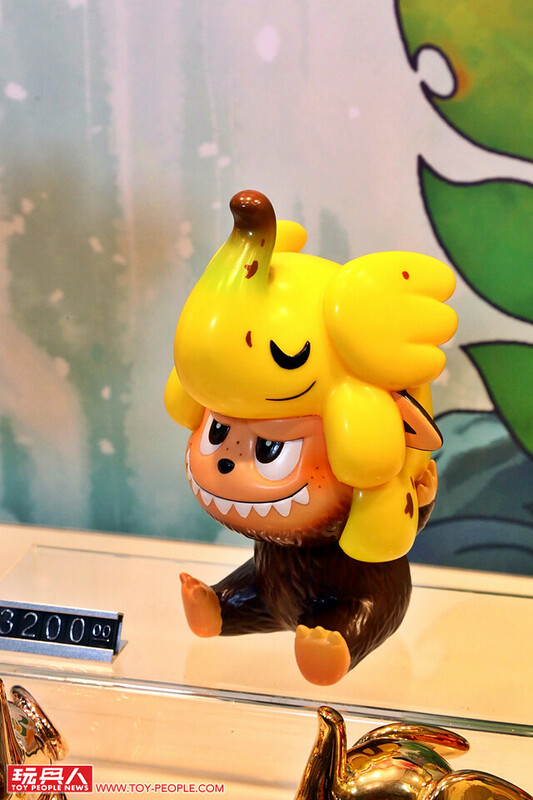 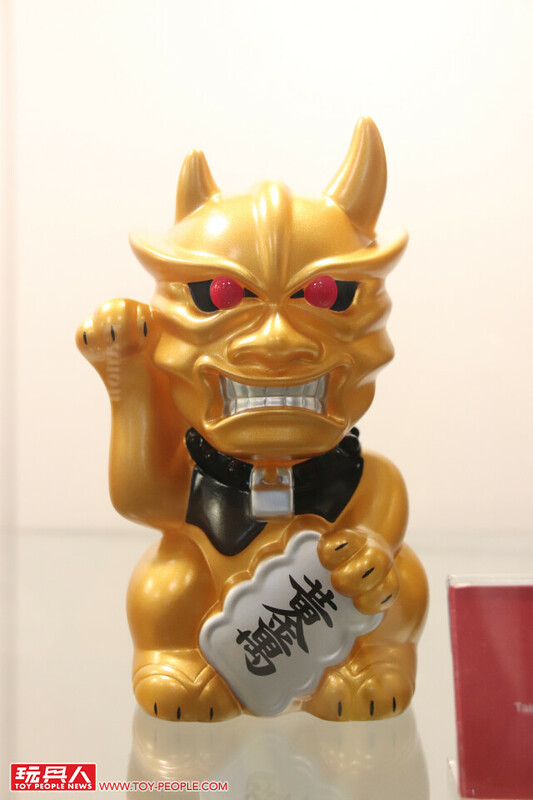 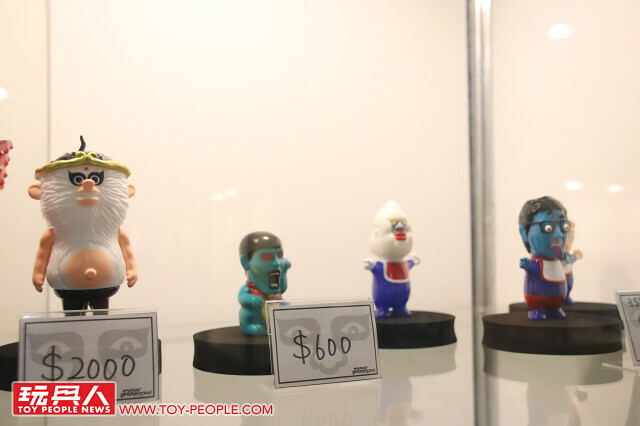 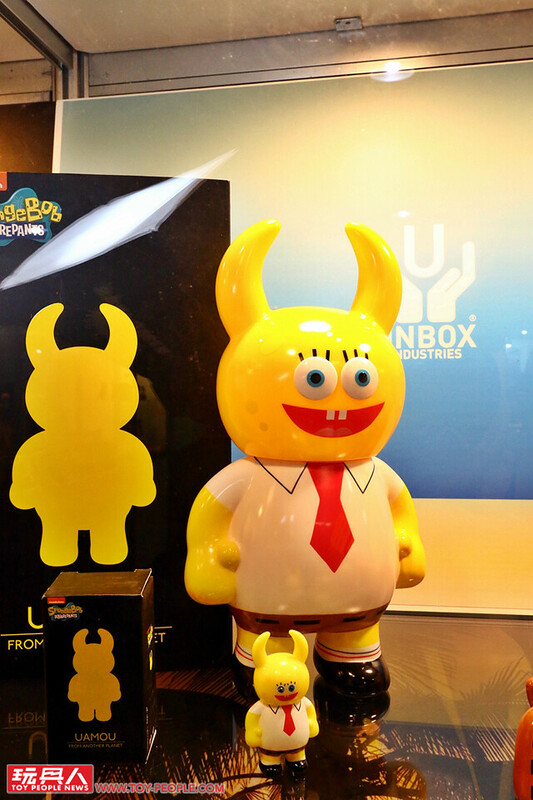 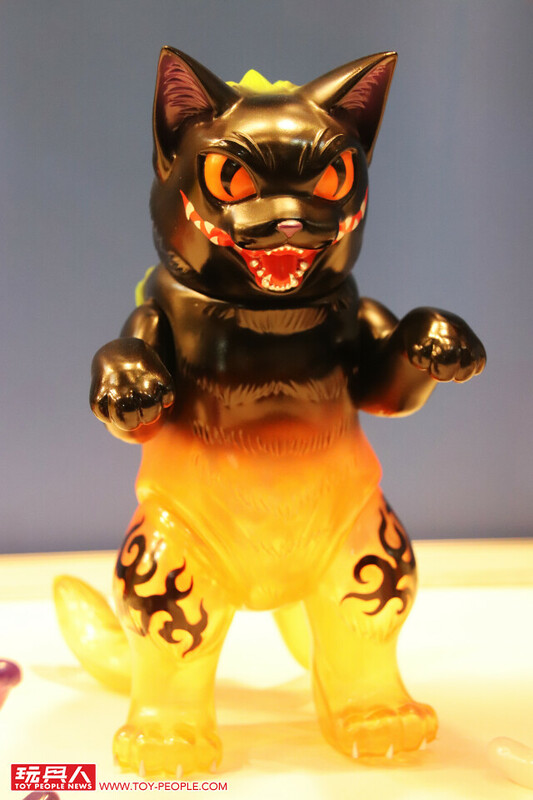 The "TTF 15th Anniversary Exclusive Gold Metal Version" is only available at booth A-110 Monster Taipei. 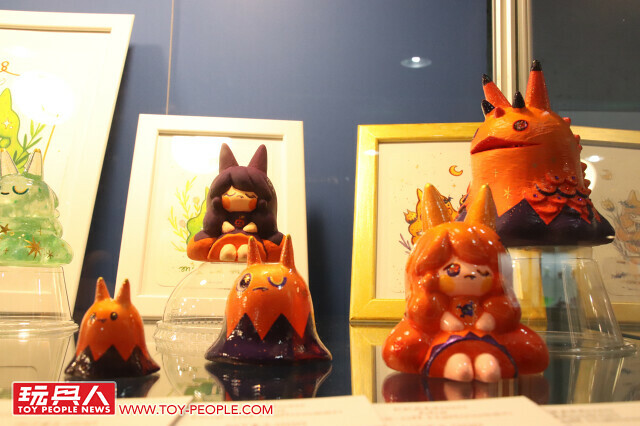 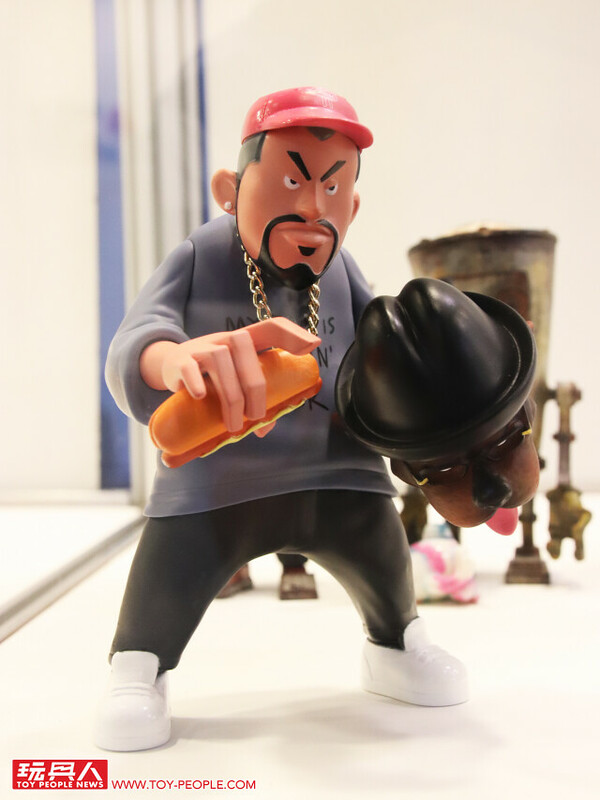 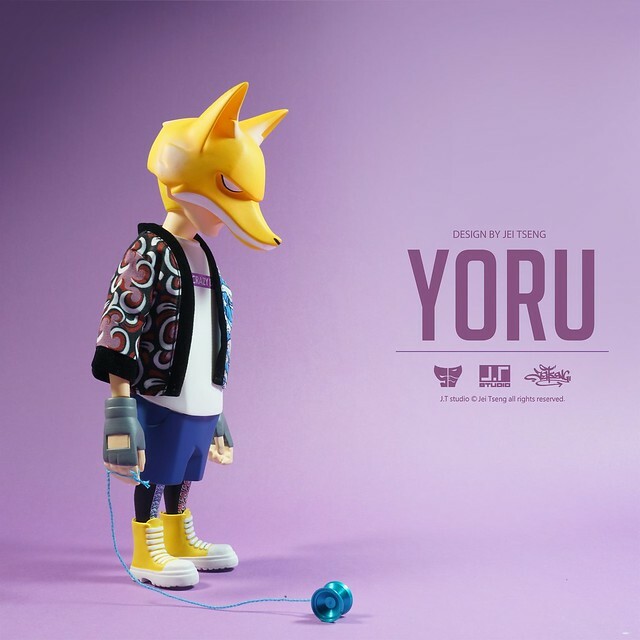 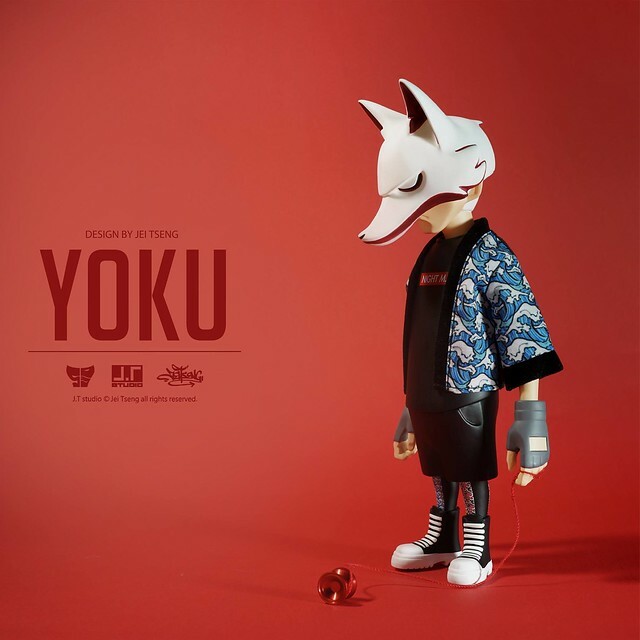 "Playtoysforever with friends" brought excellent pieces from many designer brands, including Filipino designers/ illustrator Quiccs Maiquez's created and illustrator CHK DSK designed, first time unveiled 12-inch action figure "Carbine and DXIII"; TWO HANDS studio's green letter elf figure; OK LUNA's therapeutic fox figure. 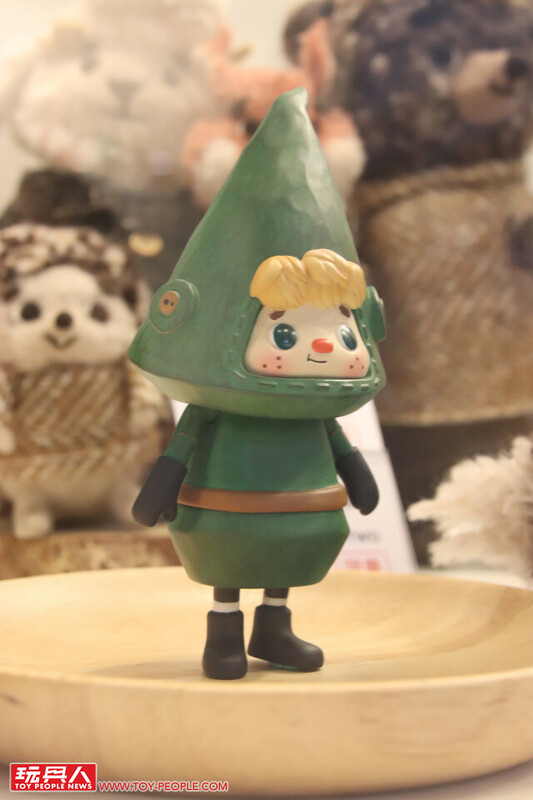 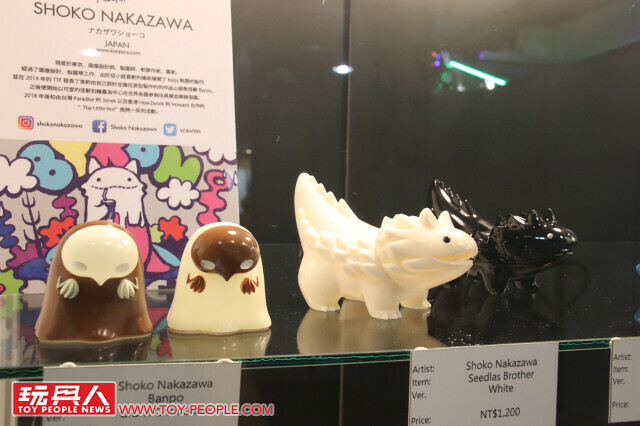 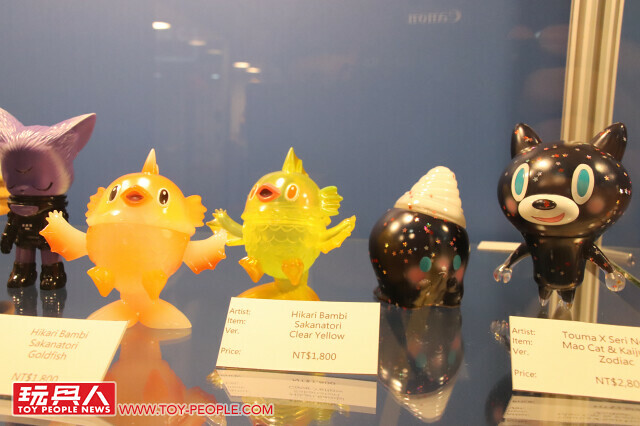 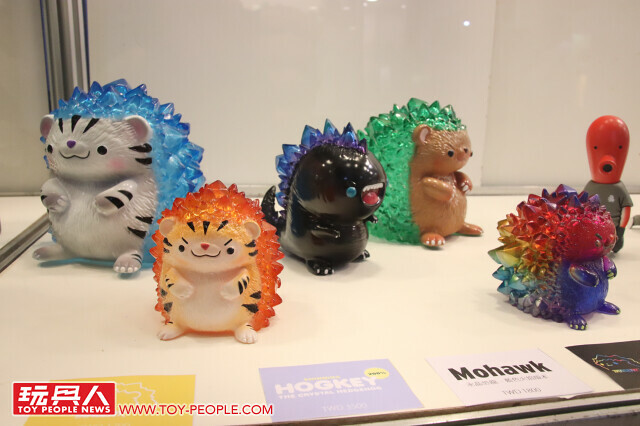 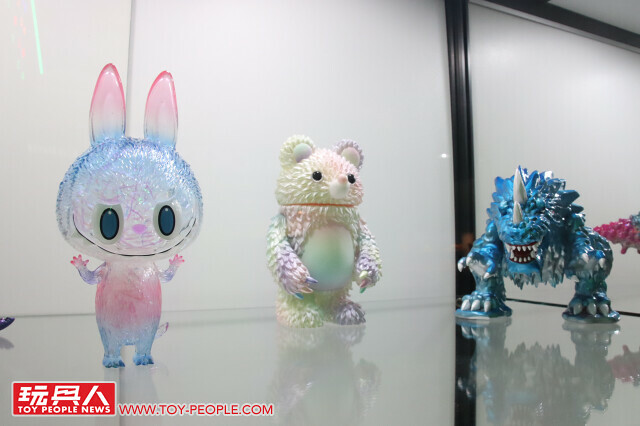 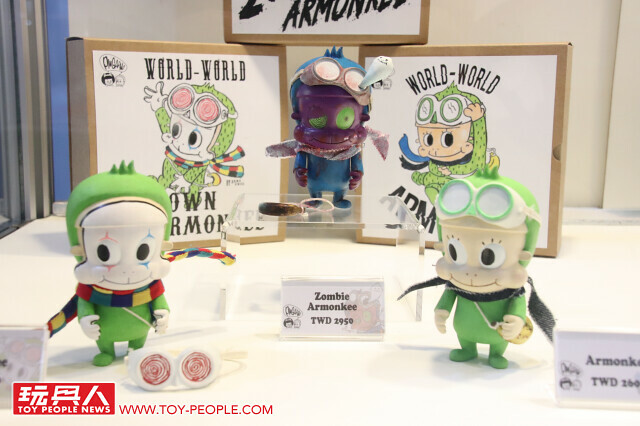 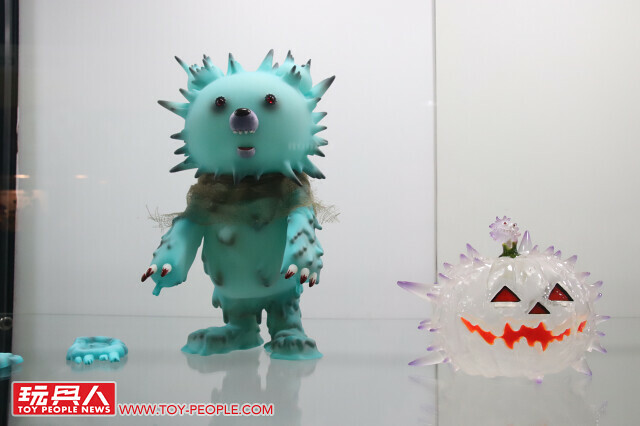 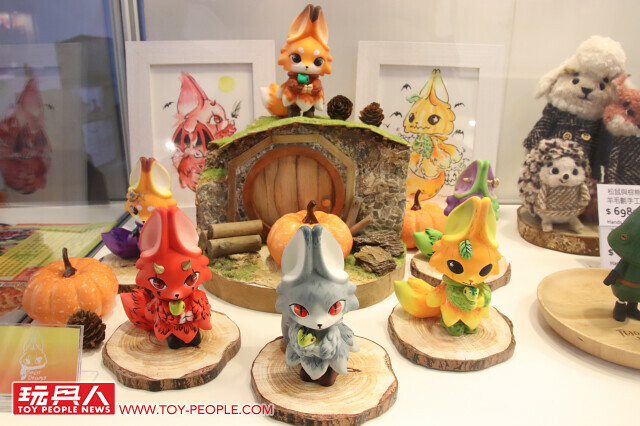 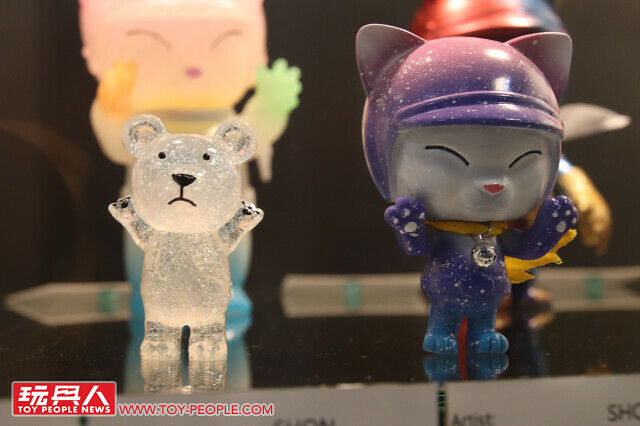 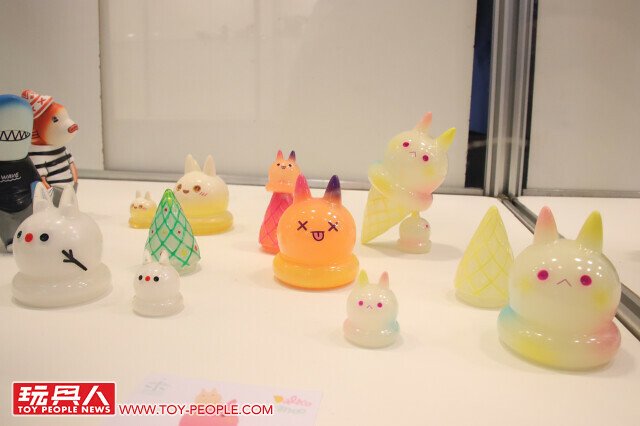 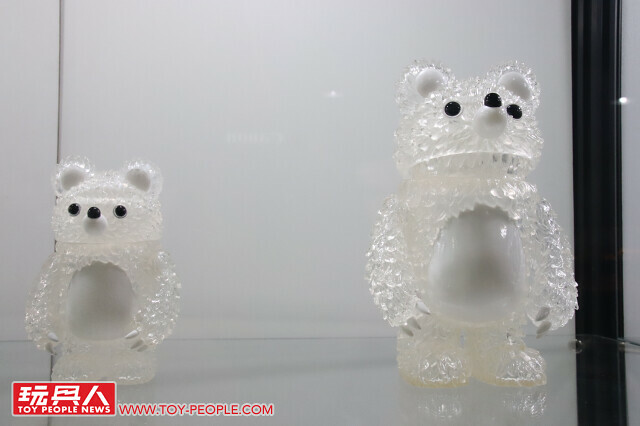 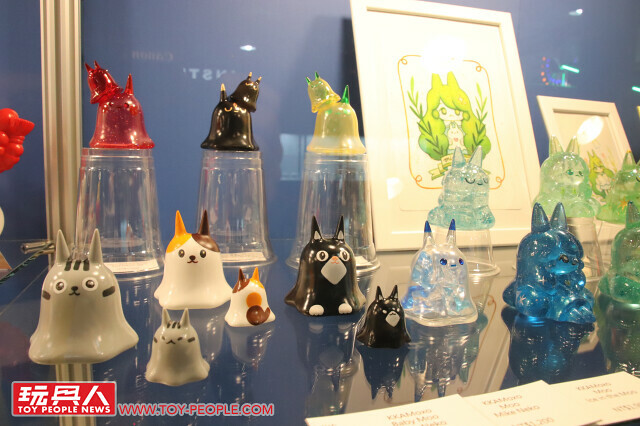 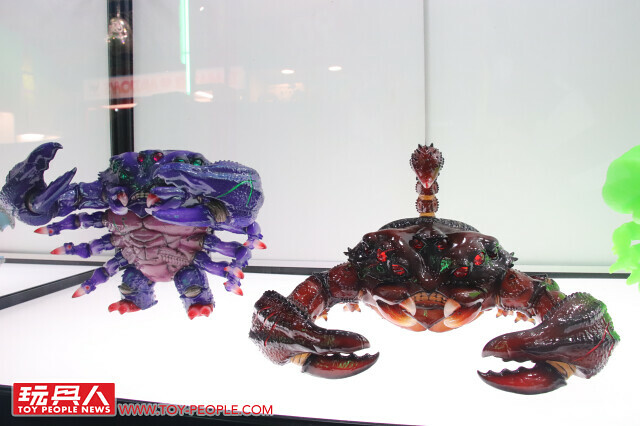 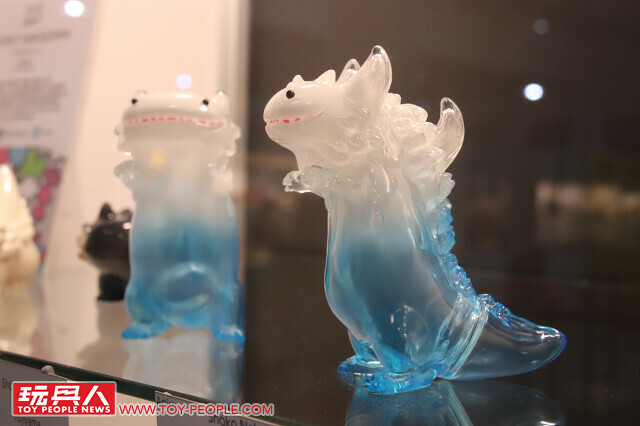 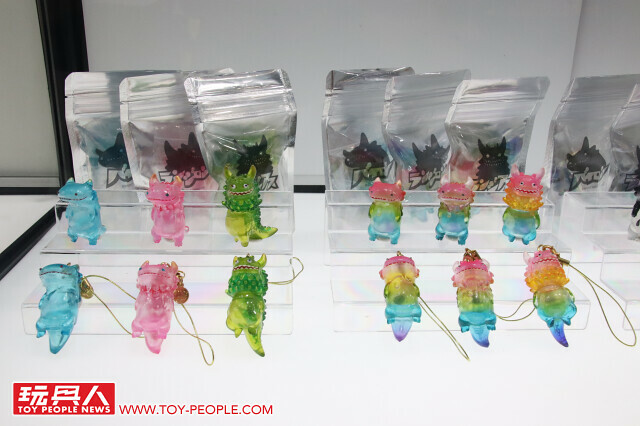 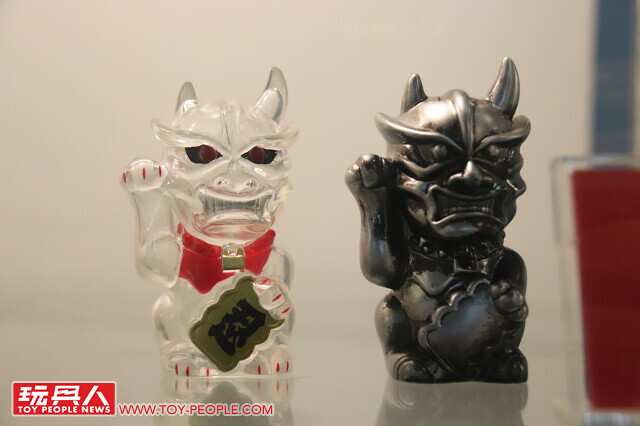 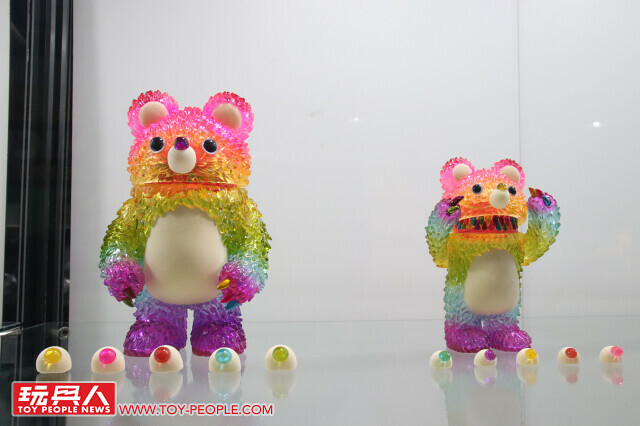 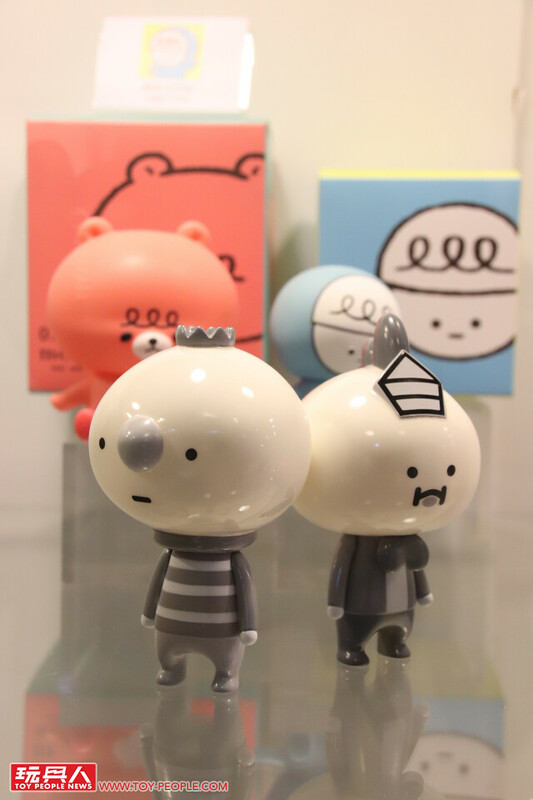 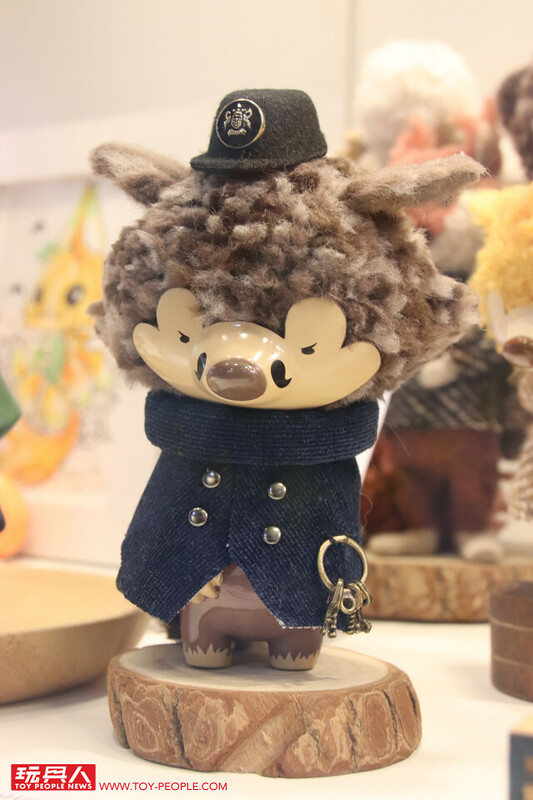 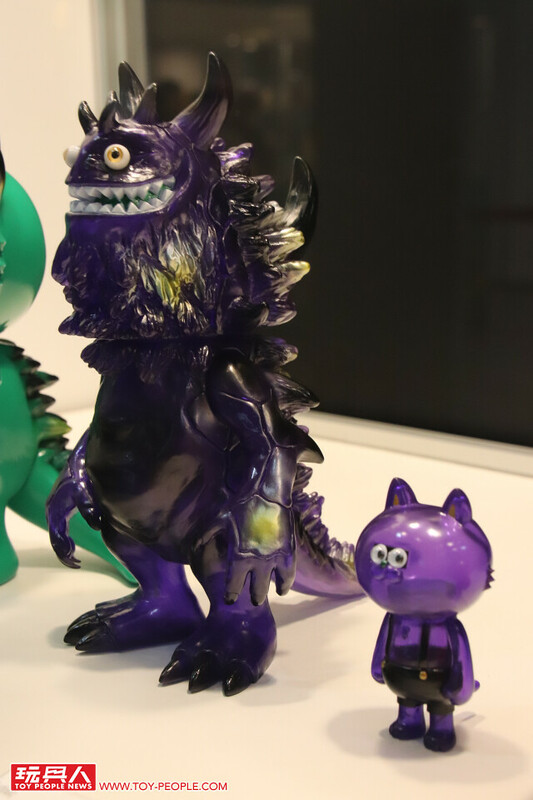 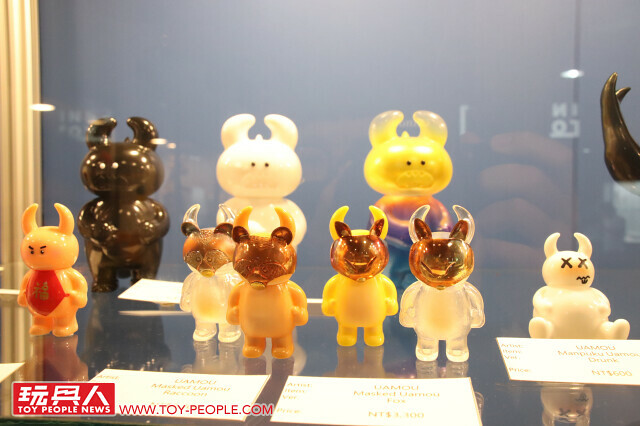 The little hut booth has designer T9G's transparent purple Rangeas, adorable Nekotaro, and green version Nekotaron. 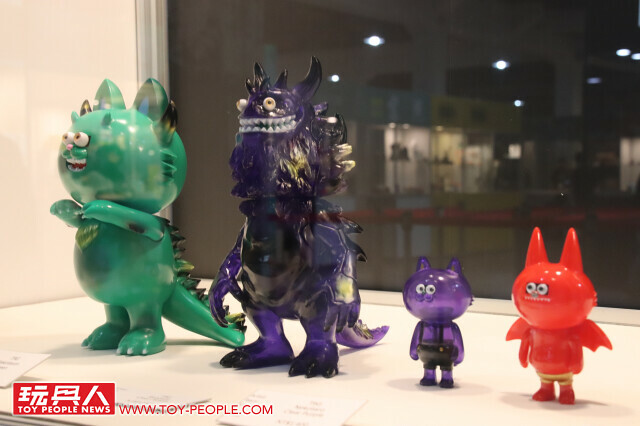 Shoko Nakazawa's beautiful Seedlas Byron is inspired by Mount Fuji, and Taiwanese designer SHON SIDE's Space Dream and many kinds of ninja cats, hugging cats, Monkey King, and Ninja Cats's new companion とらくん! 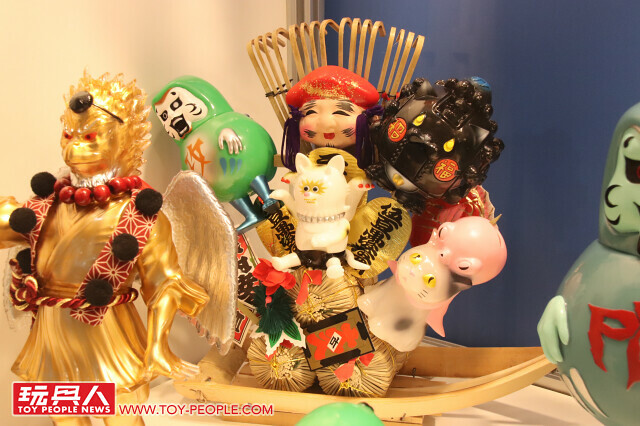 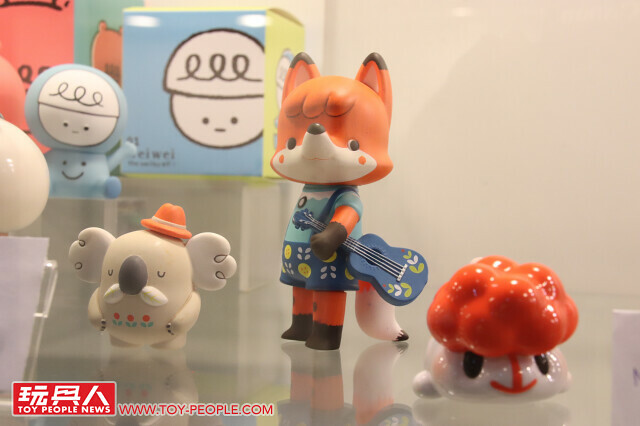 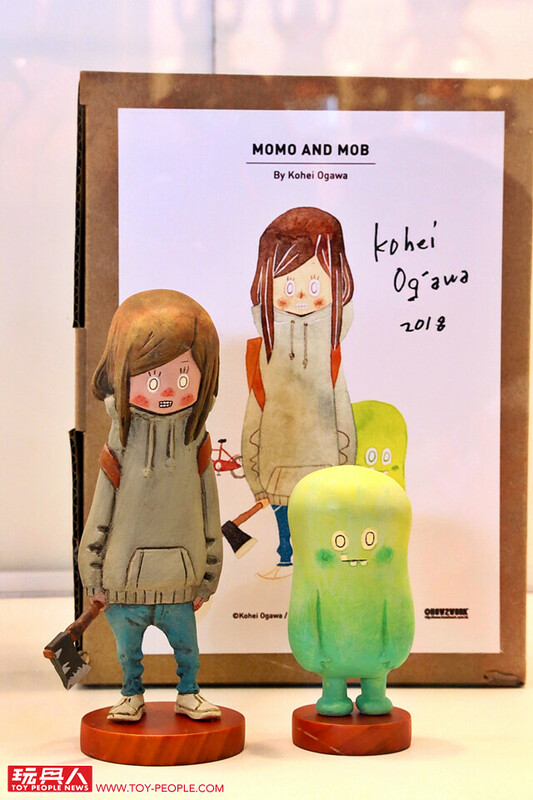 Taipei east district toy shop Paradise, has artist Teresa Chiba, Dan, KKAMoxo, Konatsu, Flabjacks and Dehara Yukinori at its booth; With many Japanese artist's collaboration, engimono department store new characters Tengu Karasu, and Punk Drunkers collaborated Aitsu Maru are all here! 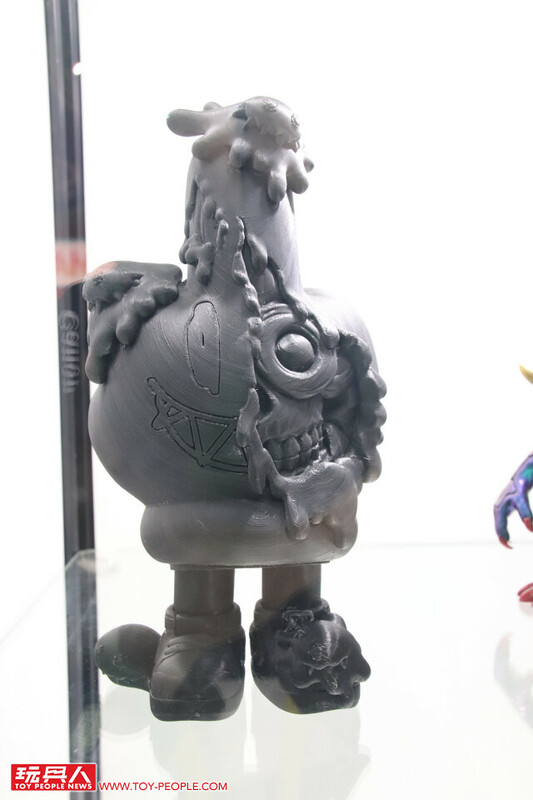 Unveiled! 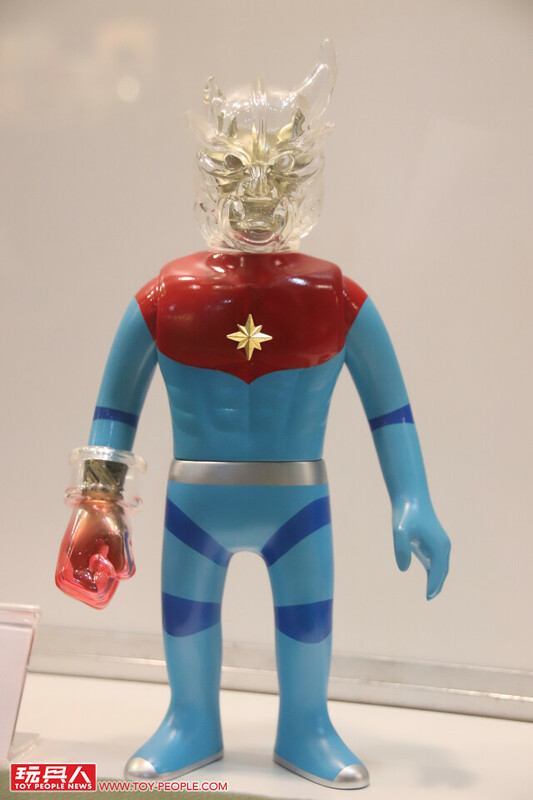 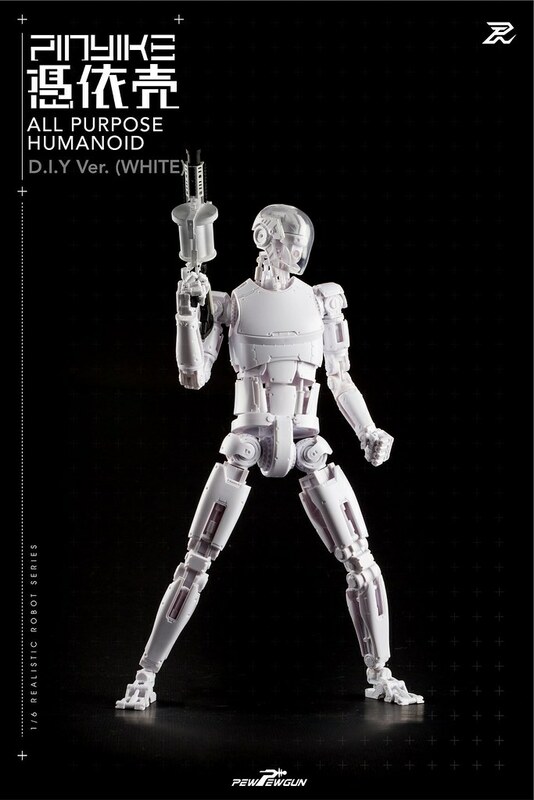 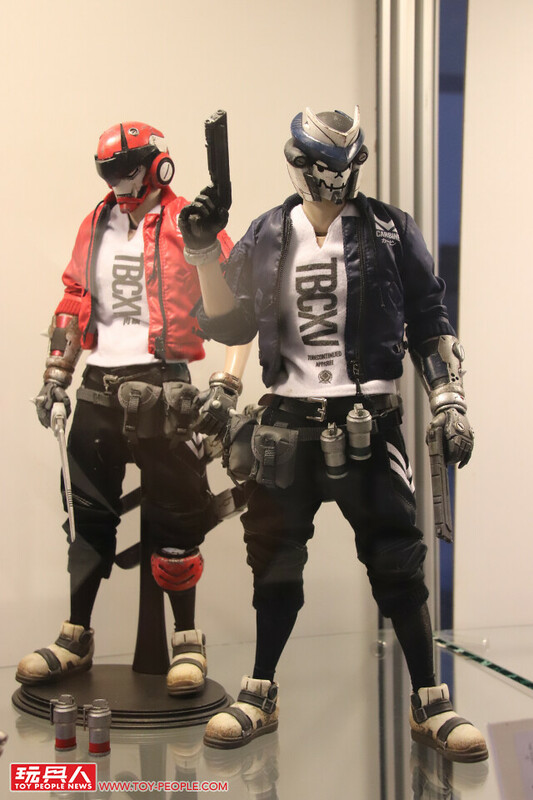 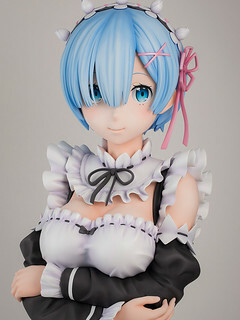 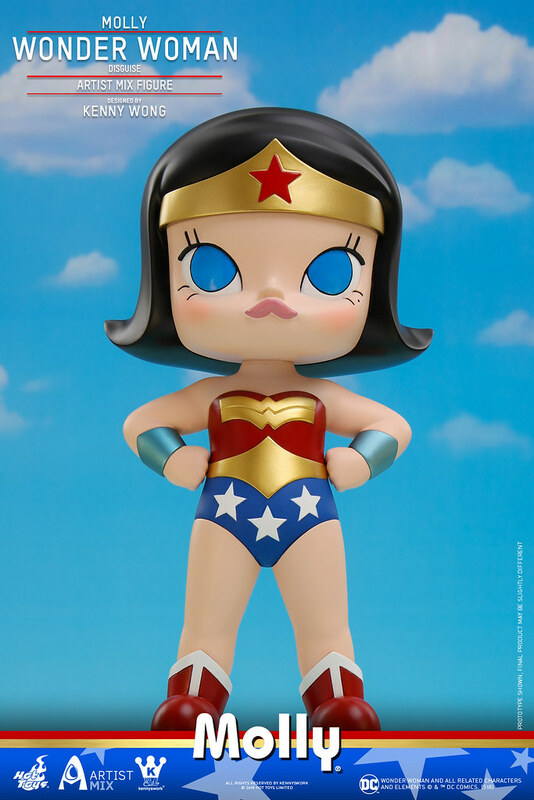 Wonder Festival Summer 2018 Sentinel/1000toys Limited Edition Figures!